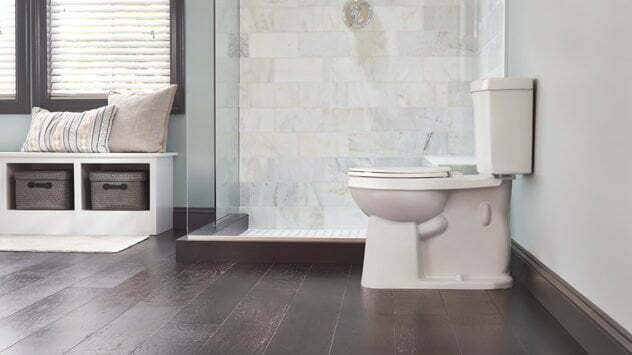 Check out the latest trends in bath appliances from the 2018 Kitchen and Bath Industry Show, such as Gerber Plumbing’s new Avalanche Elite toilet. See how we remodeled a family bathroom, including removing the wallpaper, tiling the tub surround and floor, replacing the toilet, and installing a new vanity top and faucets. Watch this video to find out more. Find out how we remodeled a small bathroom by removing the wallpaper and textured popcorn ceiling, upgrading the vanity, and installing a new mirror. Watch this video to find out more. Watch as we give a bathroom a whole new look on a budget by removing the wallpaper, adding crown molding, replacing the exhaust fan, installing a new light fixture, staining the tile grout, and more. Watch this video to see the completion of our master bathroom renovation, including installing a wood ceiling, tile floor, matching vanity cabinets with granite countertops, and a freestanding soaking tub. 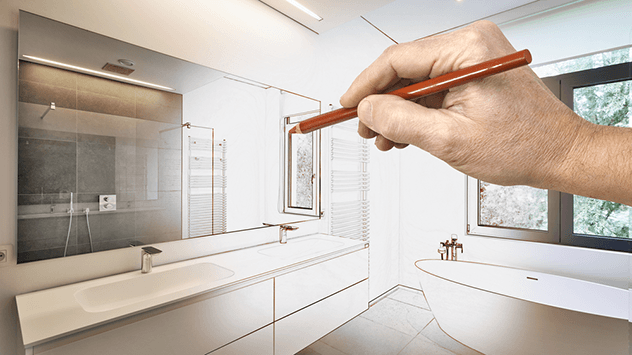 Bathroom renovations are one of the most popular home improvement projects, probably because there are so many outdated bathrooms in need of updating! Check out this slideshow of bathrooms before and after remodeling for ideas and inspiration to makeover the bathroom in your home.